NEW YORK Fans of Lululemon's popular black yoga pants will have to sit tight. Lululemon Athletica (LULU) executives told investors Thursday the company still hasn't determined the cause behind the too-sheer yoga garb that had to be pulled off shelves and online over the weekend. And officials declined to say when the items would be back in its stores. Executives also indicated that the unacceptable sheerness in the Luon black pants isn't just limited to the March 1 shipments to stores but also includes pants still in its factories. As a result, the Canadian company said the withdrawal will cost it lost revenue of $12 million to $17 million in the first quarter and $45 million to $50 million for the rest of the year, particularly in the second quarter. "This has been a challenging time for all of us," CEO Christine Day said on a conference call with investors to discuss fourth-quarter earnings results. "Disappointing our guests and shareholders and falling short of our own expectations is not something we take lightly and we deeply regret." Day emphasized that the company is adding more stringent controls and is diversifying its suppliers to make sure it doesn't happen again. On Monday, Lululemon disclosed that it had pulled the pants off store shelves after it found out that the fabric used to make them was too see-through. Lululemon had insisted that the problem didn't occur because it changed specifications for the clothing or switched suppliers. It warned that taking the pants off the shelves could lead to short supplies. But Lululemon said that it foresees first-quarter earnings between 28 cents and 30 cents per share. It reported earnings of 32 cents per share a year ago. The company expects the recall will pull its earnings down by 11 cents to 12 cents per share. Analysts polled by FactSet had expected earnings of 39 cents per share. The retailer also predicted full-year earnings and revenue below analyst expectations. Lululemon said it expects earnings between $1.95 and $1.99 per share on revenue between $1.62 billion and $1.64 billion. Wall Street had predicted earnings of $2.16 per share on revenue of $1.68 billion. The company's see-through black Luon pants are the latest in a series of quality glitches that threatens to alienate the retailer's loyal fans, who have so far been more than willing to shell out $100 for pants and other athletic garments. The legion of followers has helped Lululemon, founded in 1998, become a $1.4 billion business. The Luon pants, made from a combination of nylon and Lycra fibers, are one of the retailer's product staples and account for about 17 percent of all women's pants in its stores. The company is offering customers' full refunds or exchanges. During the hour-long conference, Day told investors that the company still has to "find out exactly where the process broke down." "It's a multistep process with multiple vendors involved, and we don't want to call attention to any one particular vendor because it would be unfair until we've completed the diagnostics." When asked by an analyst how come the problem wasn't detected earlier, Day said the product had passed initial tests at the factory but it was impossible to detect the problem before the shipments went to the store. "The truth of the matter is ... the only way that you can actually test for the issue is to put the pants on and bend over," she said. On Thursday Lululemon reported that its fourth-quarter net income rose 49 percent to $109.4 million, or 75 cents per share, from $73.5 million, or 51 cents per share, a year ago. Analysts had forecast earnings of 74 cents per share. Revenue for the period ended Feb. 3 climbed 31 percent to $485.5 million from $371.5 million. Wall Street expected $482.2 million in revenue. Revenue at stores open at least a year rose 10 percent. 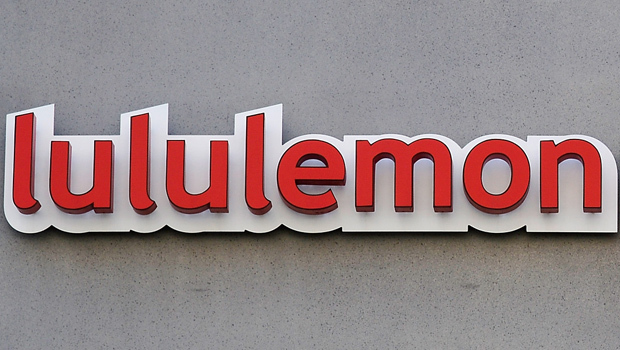 For the year, Lululemon earned $270.6 million, or $1.85 per share. That compares with $184.1 million, or $1.27 per share, a year earlier. Annual revenue increased 37 percent to $1.37 billion from $1 billion. Revenue at stores open at least a year climbed 16 percent. Shares rose 80 cents to $64.68 in late morning trading.